"The most interesting, fun and TASTIEST vacation I have ever been on. I'd do it again in a heart beat, but only if Tan and CAT is running the show. They did an amazing job. LOVED it, top to bottom." "Absolutely loved it. Tan is a wonderful host and did a spectacular job planning incredible meals and spectacular sights. You really get to see Vietnam in many different aspects. Tan showed us his family's village and traditional Vietnamese fare that many tourists would not see. I would recommend this to anyone. 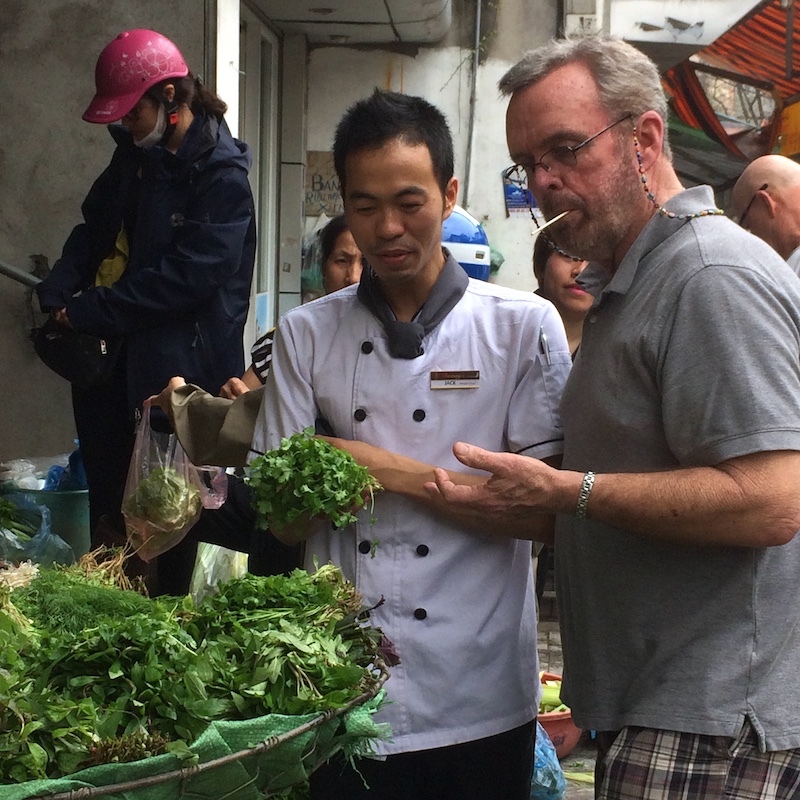 Vietnam is amazing and Cuisine Adventure Tours is top notch." "Absolutely amazing tour! Small groups so you can really get a feel for the culture and ask questions. We got off the tourist trail and went to places I never could have gone on my own while having a blast and learning about the culture. Not to mention all the amazing food we were introduced to along the way!" "A perfect customer experience. We thoroughly enjoyed every meal, interaction and adventure Tan and his VN tour team coordinated and delivered. I would highly recommend this trip to anyone interested in learning more about this beautiful, friendly and accommodating country." "While visiting Vietnam I had the unique opportunity to travel outside of Hanoi and get a taste (literally) of life in the small villages outside of this big city. I remember very vividly the trek out to the village as the road we travelled on was full of huge potholes that we maneuvered along the way, making for a fun and interesting drive. As we drew closer to the village the noise and hustle and bustle of the city dissipated and soon we had arrived into a beautiful and peaceful setting. When we pulled up to Tân's family's village we were immediately greeted with hugs and welcomed into the home where I met grandparents, aunts, uncles, cousins and children. The house was not huge, and yet with all of us there everyone seemed to maneuver around one another with ease. I could immediately see how close knit the family was and everyone was going out of their way to make sure we were comfortable and had something to drink. We had arrived just in time to watch and help with making dinner. Everything was fresh from their farm that day, including the chickens that were prepared. One thing that really stood out to me is how there wasn't anything that went to waste, almost every single part of the chicken was consumed. It made me really appreciate their culture as I thought about how wasteful we can be in America. I tried many different foods, some of which I hadn't ever even heard of and every single dish was amazing. I loved how everyone gathered together for dinner, crowding around the table and really making an event of the meal. To say that the dinner was 2-3 hours long is not an exaggeration, it really made for a fun and relaxing atmosphere. This was truly a unique experience, one that will stay with me for a long time and would not have been possible had I not been with Tân and his family." "Excellent itinerary, great food. We got a lot for our money, and we saw things we couldn't have planned ourselves."